I RECALL JUDGING A bartender competition in London a couple of years ago. I noticed that one of the contestants had dirty fingernails. It looked as though he had just changed the oil in his car or done a spot of gardening before he had come along. Now if I were in a top bar spending a lot of money for a cocktail and I saw that lad, would I want to consume something prepared by him? One always thinks of Americans being fastidious, very particular about sharing something that has been touched by someone else. So what would a wealthy American in an expensive hotel make of a bartender who has poor hygiene practice? 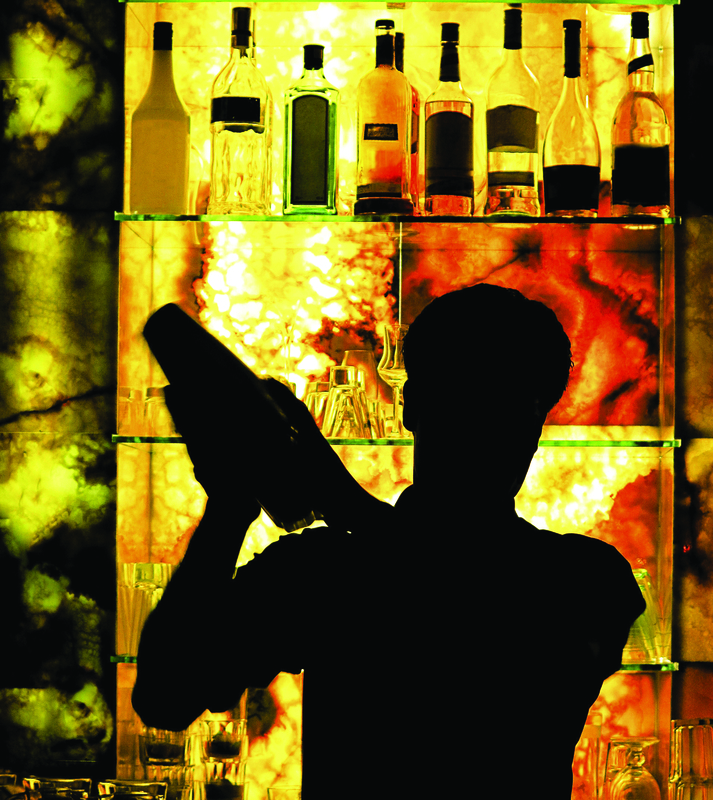 Are bartenders aware of food hygiene procedures and do they uphold good hygiene practices? Are they using the correct equipment in terms of refrigerated units and prep areas? Do they clean down work surfaces properly during service and at the end of the session? What sort of equipment should they be looking to use? So, I went to the Hotelympia show for professionals in foodservice back in January and asked some foodservice equipment experts. Here are their responses to my questions. Malcolm Harling, sales and marketing director of Williams Refrigeration, says: “It is true that bartenders may not have the same food hygiene training as kitchen staff. It is essential that all staff who are in contact with food – from management to casual or temporary staff – are trained in good hygiene practices. According to Harling, there has been an increase in the number of budget-priced imported fridges coming into the market. “Some of these imported products are semi-domestic models that are being mis-sold. Many are allegedly commercial models that are simply not up to the job. If the equipment can’t maintain temperatures they fail HACCP guidelines or simply break down. “Areas where food is stored, prepared and served should be regularly cleaned during service and at the end of service. Any spills should be dealt with immediately,” advises Harling. Coping with the demands of a busy venue means back bar refrigeration has to operate efficiently to maintain temperature as doors are continually opened and closed. It also has to be robust enough to survive a punishing level of wear and tear. “If the bartender is using fresh ingredients in, for example, cocktails then the venue may want to consider a prep counter, which has chilled wells for holding fresh food safely, or a specialist ingredients holder such as a Williams Thermowell. “A refrigerated, standalone prep well, the smallest Thermowell, the TW4, operates efficiently in ambient conditions up to 32°C and can be sited on worktops, wall-mounted or even mounted on extendable legs. It holds up to four ingredients wells and ensures the food is kept safely,” pitches Harling.